Amplifying your content means that you need to either pay for it or earn it. Buying online attention means investing in a Google AdWords campaign, buying an email list or implementing some Facebook advertising. This can be done fast if you have the funds allocated. 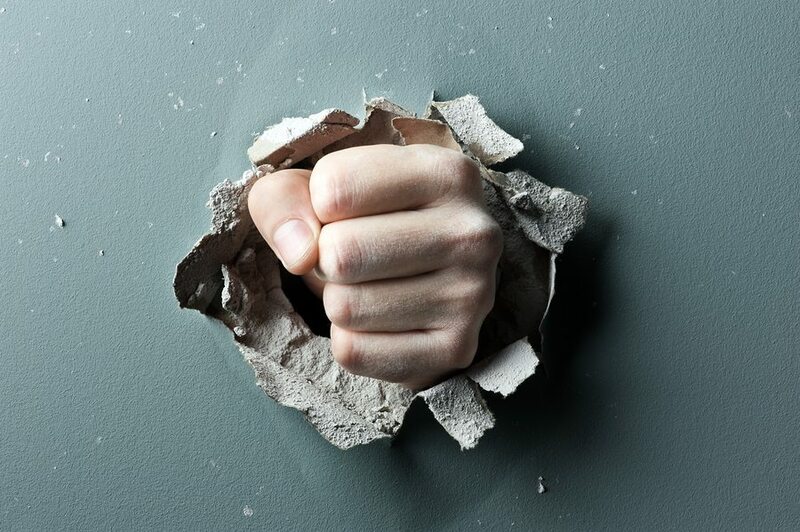 They are the catalysts to accelerating your marketing campaigns. 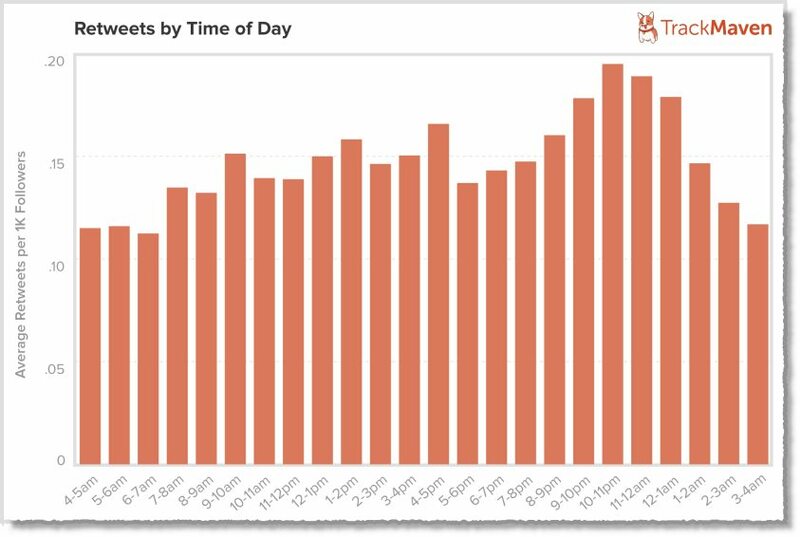 Earning attention to get your content shared takes time. You need to build the email list, grow your Twitter followers and acquire more Facebook fans. This requires a variety of tactics and some expertise. It will also take patience and persistence and creating the best content you can. It also can be slow and tedious. But if your funds are limited then you have to go out and earn that attention. Part of the content amplification process is getting retweets on Twitter. It feels like RT’s have been with us forever but they were only introduced by Twitter in November 2009. That’s barely 4 years ago. 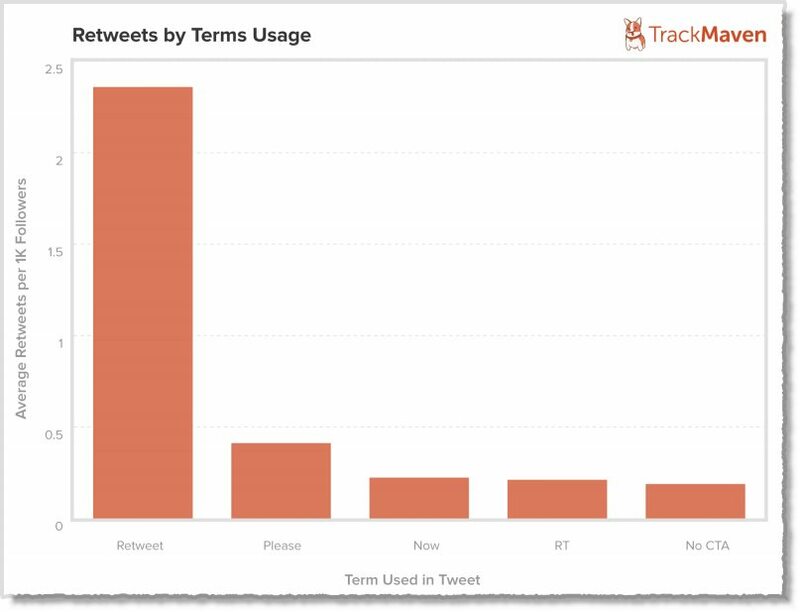 This produced some surprising insights about how to get more retweets. It revealed the importance of pictures, time of day and even using capital letters. 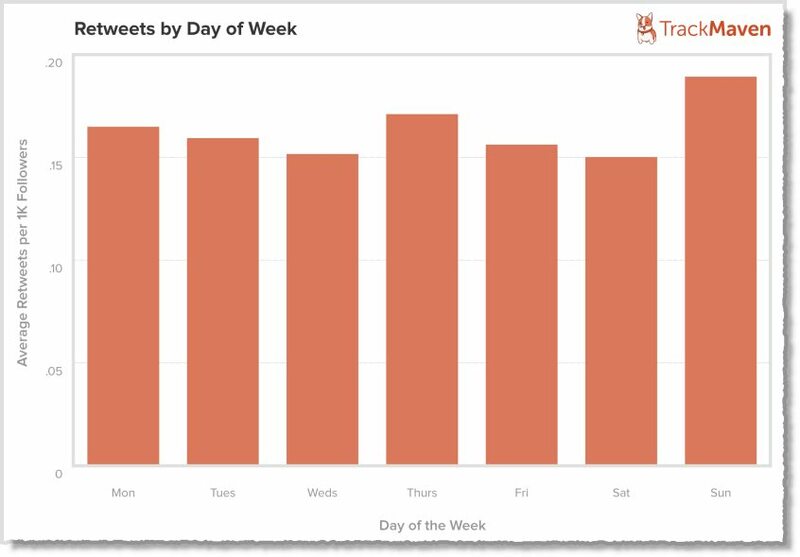 Here are 9 ways to get more retweets on Twitter that you may want to weave into your social media marketing habits. The difference between Sunday and worst day is quite small with Sunday getting on average 0.168 retweets vs the worst day at 0.15 Retweets. This is not what you would call “earth shattering”. But it also reveals that tweeting at between 3 and 4am is the least effective. 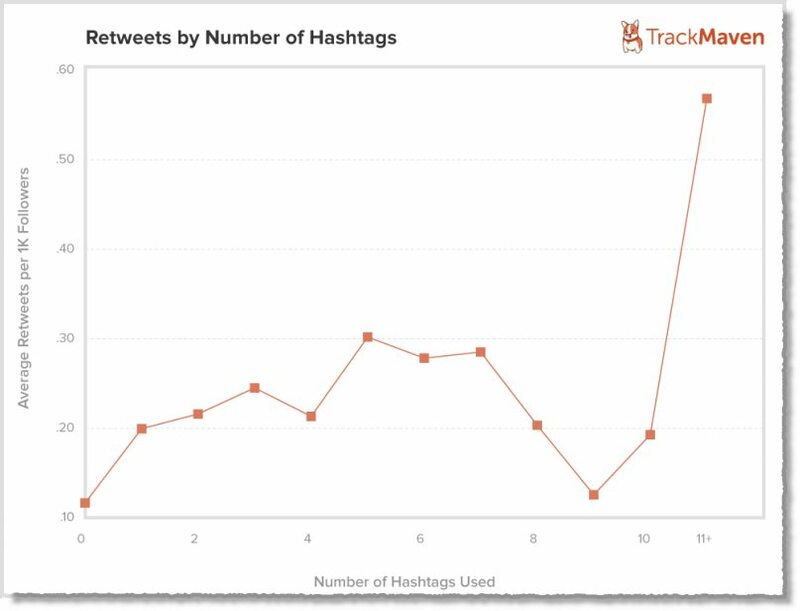 Hashtags are often underrated and 5 hashtags is a good number according to this report. Five hashtags gets an average of 0.301 retweets vs 0.116 retweets with no hashtag. That is nearly a 300% improvement. I am just wondering though how you could implement 11 hashtags! Now this I find interesting. I have generally added the link towards the end and this confirms my suspicions regarding impact. 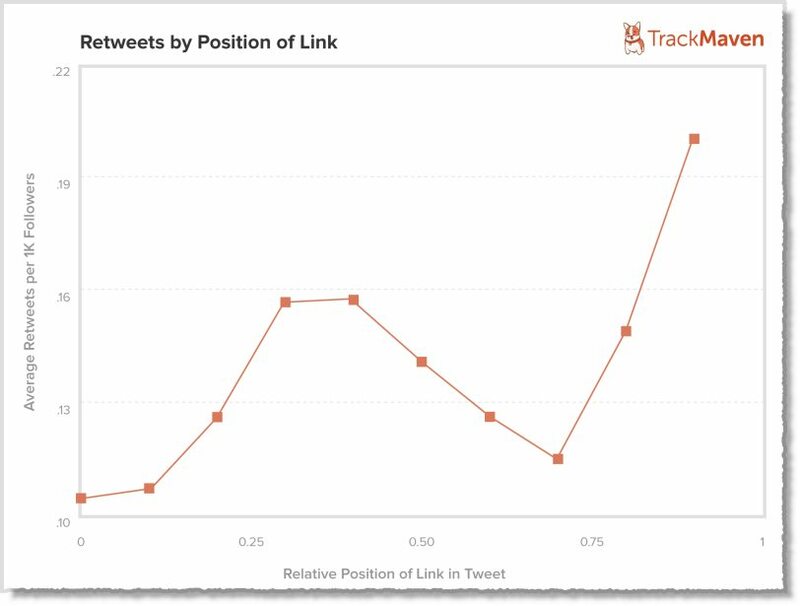 Positioning a link 90% of the way through the tweets is most effective at an average of 0.2 retweets. Now here comes the visual part. Using a picture means that you receive 0.404 retweets vs 0.133 retweets when you don’t use a picture. 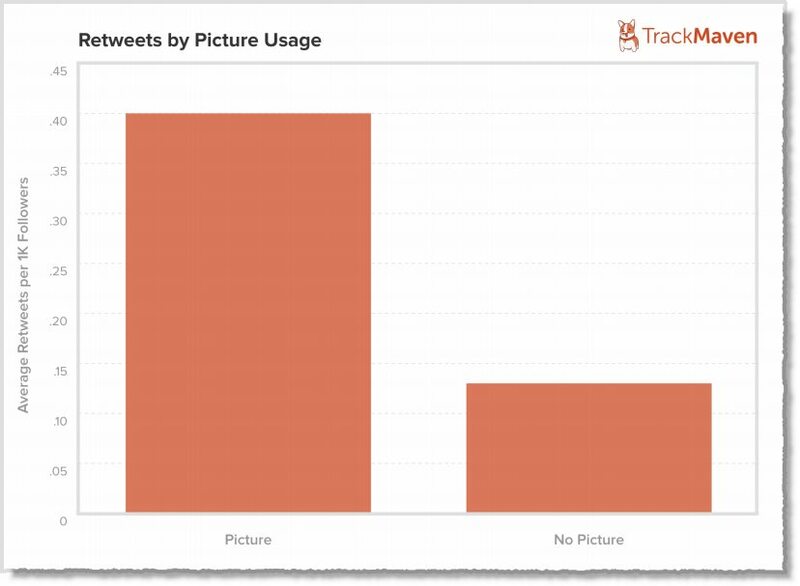 This shows the significant importance of visuals even on Twitter. 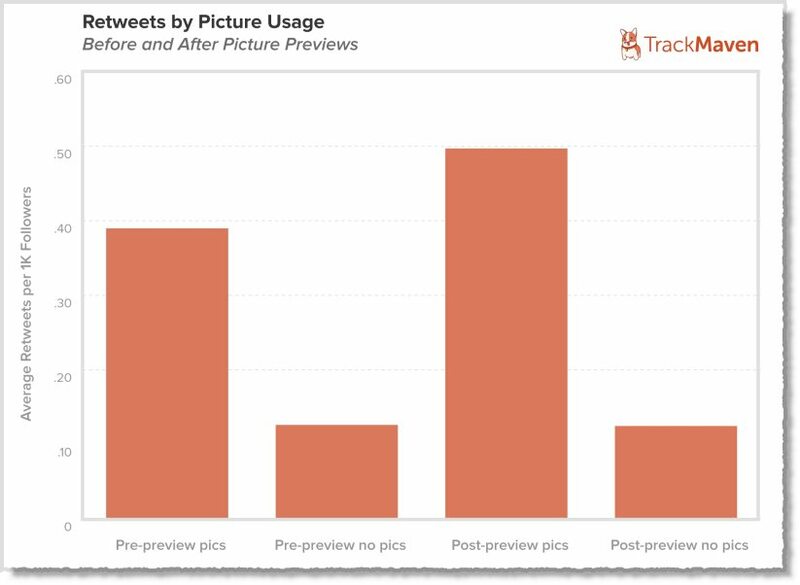 The introduction of Twitter picture previews (that mean you see the image without having to click) has added significant impact to retweets. It means that there is about 25% improvement to retweets. The significance of using the full word “Retweet” instead of just “RT” is evident here. 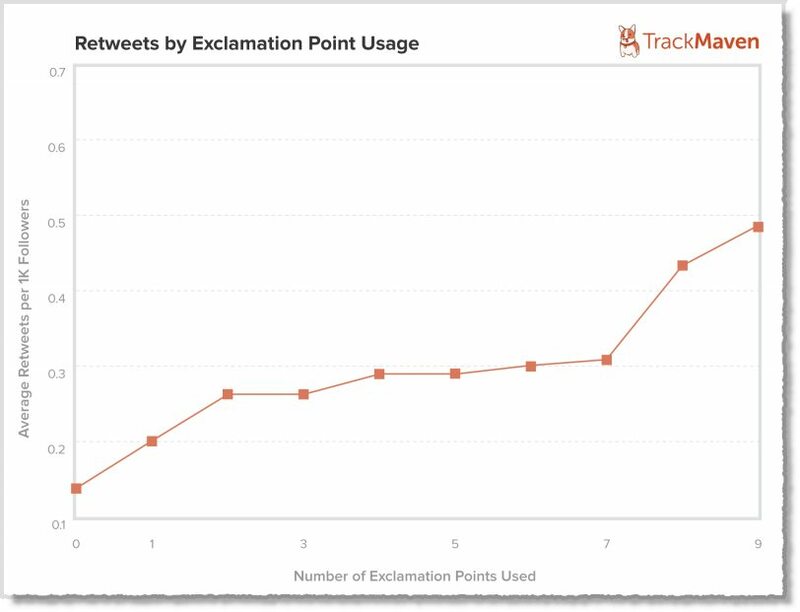 Nearly 2.5 retweets happen when using the full word vs only 0.17 when using the shortened version. That is an increase of nearly 1500%!! I suppose it shows that using acronyms is a poor use of language. Now I am not a big user of exclamation marks on Twitter but after this revelation maybe I better!! Nine exclamation marks produces an average of 0.484 retweets vs 0.15 for none!!!!!!!!! 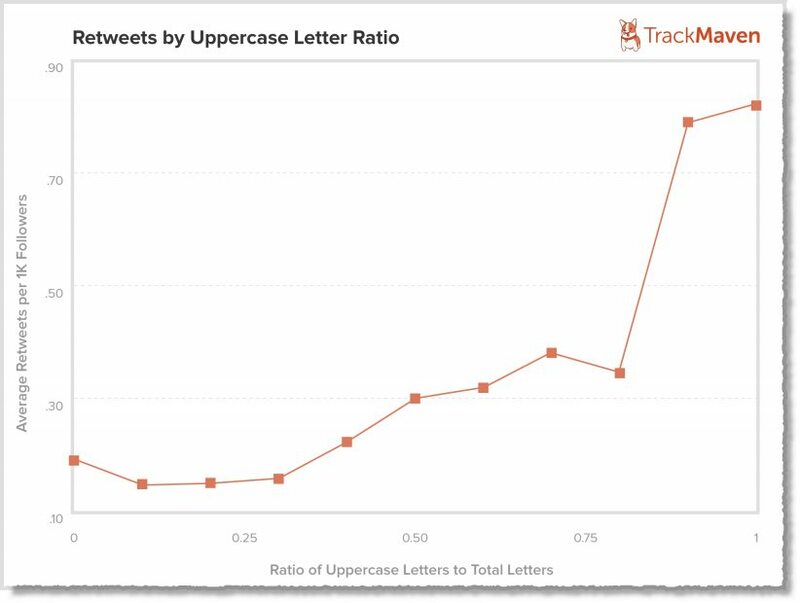 Using uppercase has been missing from my Twitter tactics toolbox but after this report insight maybe I need to add it in. The increase in retweets is almost 550% when Tweeting all in Uppercase vs just using it 0.1% of the time. What did you find most revealing about this report? Are you using any of these tactics. Have you found them effective? Want to learn how to use Twitter to maximum effect to market your blog?